PT Adaro Energy Tbk - ADARO or referred to as "Adaro Group" is a trusted and reliable company in Indonesia, running business in vertically integrated energy industry. 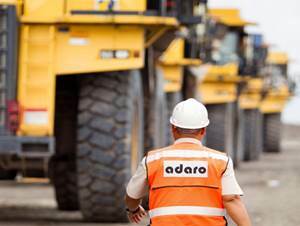 Together with its 29 subsidiary/affiliated companies, Adaro Group has its business activities focused in mining assets, mining services, logistic, trading, electricity power, and land asset management. Adaro Group was formed in 2004. Adaro Group was officially listed at the Indonesia Stock Exchange (Stock Code: ADRO) on 16 July 2008. As of December 2015, Adaro Group is 43.91% owned by PT Adaro Strategic Investments, 6.18% by Garibaldi Thohir, 14.68% by other key shareholders and 35.32% by Public. The Company has its legal domicile in Jakarta and its head office is registered at Jl HR Rasuna Said, Blok X-5, Kav. 1-2, Jakarta 12950. According to PT Adaro Energy Tbk Annual Report 2015 as cited by JobsCDC.com, Adaro Group’s total net revenue in 2015 was down 19.27% at US$ 2,684 million as compared with US$ 3,325 million in 2014. Net income was down 17.48% at US$ 151 million from US$ 183 million in 2014. Bachelor degree (S1) majoring in Agribusiness, Information Systems, Business Management. Required experience for minimum 2 years in breeding company. Willing to be stationed at South Kalimantan. Minimum Diploma 3 (D3) degree majoring Information Technology. Required experience for minimum 2 years in reputable company as an IT Administrator. Strong knowledge about Geographic Information System (GIS) and Database Infrastructure. JobsCDC.com now available on android device. Download now on Google Play here. Please be aware of recruitment fraud. The entire stage of this selection process is free of charge. PT Adaro Energy Tbk - Recruitment D3, S1 Admin Staff Adaro Group April 2016 will never ask for fees or upfront payments for any purposes during the recruitment process such as transportation and accommodation.